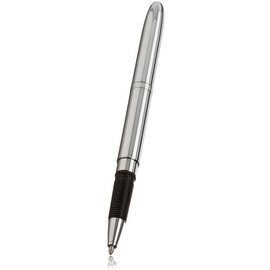 The AG-7 Astronaut space pen is a retractable ball pen with a weighty chrome plated brass barrel. 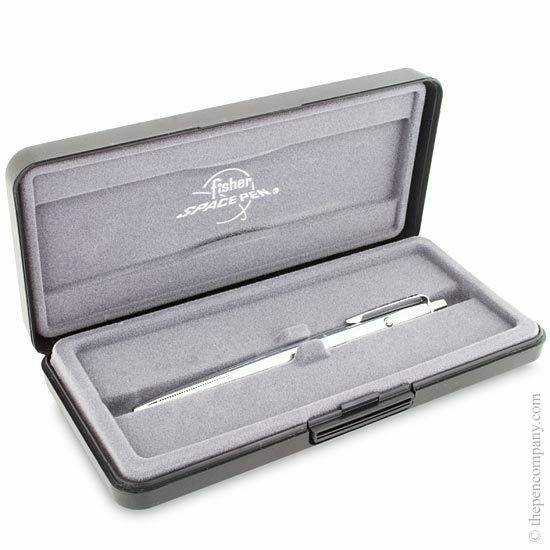 Fisher's pressurised space pen refill allows the AG-7 to write at any angle and over many surfaces in adverse conditions and of course in zero gravity. The AG-7 is exclusively used on all manned space flights. 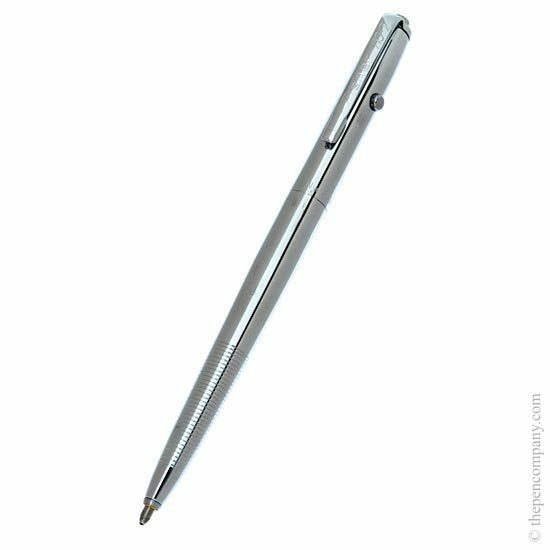 Who needs a pen in the age of smartphones, tablets, laptops and Siri? Well, I do. Otherwise that gorgeous Smythson notebook I bought at Terminal 4 was a complete waste, and I'm not having that! 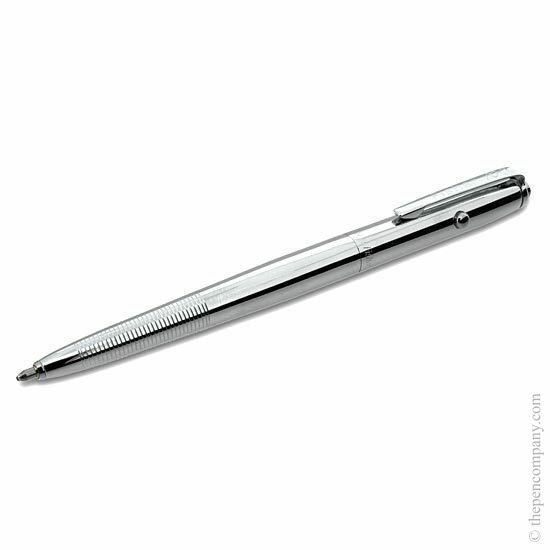 This pen is beautiful to behold, but not so precious/expensive that I'm worried about it getting dinged or scratched. It's a pen I want to use, not an 'objet d'art'. I love the sleek chrome, the grippy grip and the li'l button on the side to retract the nib (though as a lefthander it feels that I could press it accidentally, tho so far this hasn't happened). I like that it's a proper all-in-one pen. I had the bullet pen before, which is a two-parter, feels like a compromise to write with, and two got stolen. Like many stand-out designs, you have to notice this pen to notice how special it is... and once you start admiring it, off you go down the rabbit hole. It is very mod-ish: it's all in the details. Moreover, it writes very smoothly and, famously, upside down. And, of course, this sucker was designed for space - for the Apollo astronauts, that whole man on the moon business. Which is awesome.